This is a short biography of Pierre Viret (1511 – 4 May 1571), a Swiss Reformed theologian, who is as obscure now as his tiny native village. However, he was without a doubt, the most sought after Reformed minister of the Sixteenth Century. As, one great scholar and professor has pointed out..
No tourist in Geneva can miss the impressive Reformation Monument with its four towering figures: John Calvin, Guillaume Farel, Theodore Beza, and John Knox. Some visitors might even notice a series of reliefs on the statue’s base, which depict various scenes from the Genevan Reformation. Yet only a sharp-eyed observer is likely to spot in one of the reliefs a spare man with a long beard preaching to a crowd of intent listeners: that man is Pierre Viret. Viret is now virtually forgotten among the major reformers. But if we can say that Calvin systematized the theology of the Reformation, it would be equally just to say that Viret popularized it. He preached in a language simple and colorful. He wrote in a style which captivated people, responded to their questions, and provided them with simple apologetic arguments necessary for the defense of their faith. As a changed and converted man, Pierre Viret (vee-RAY), was a Sixteenth Century Reformer, and one of three sons of a poor tailor of Orbe, which is an obscure village in present-day French Switzerland, near Lausanne. 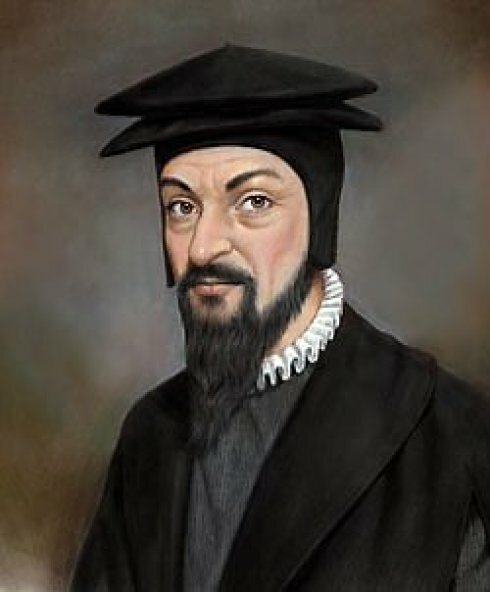 Viret, was born in 1511, which makes him two years younger than John Calvin, and he was one of the Calvin’s closest friends. These two men worked closely together for many years in Geneva and corresponded regularly when Viret left Geneva to accept a pastorate at Lausanne. Viret was a precocious child who benefited from the new village school where several of the teachers were trained humanists and suspected Lutherans. He developed an interest in the classics as well as theology. These interests in 1528, led him to study for the priesthood. He entered the Collège de Montaigu at the University of Paris at about the time Calvin was leaving. After studying intensely there, Viret left Paris two years later a changed man. The new Protestant ideas that were flourishing at the great university, led to Viret’s personal commitment to Jesus Christ. After Viret had won Orbe over to the Reformation’s side of the Gospel, Viret regularly traveled between several of the surrounding villages for the next three years to further the work of the Reformation. Accompanied by Farel, he journeyed first to Grandson, a small town just north of Orbe, which was quickly won to the gospel under the Reformers’ preaching. He was then asked to preach in Payerne, and it was there that he was badly wounded when a band of Catholics, led by a priest with a sword attempted to kill him. It was perhaps here that the young preacher met with his deadliest opposition. The city was strongly Roman Catholic and violently protested the preaching of the “new faith.” Viret, knowing that his teaching was no more than the truth of the Word of God, begged for a public disputation in which he would be permitted to prove his case from Scripture. The Council of Payerne at last acceded to this request and a date was fixed. The night before the disputation, however, Viret, returning home, was ambushed in a solitary field by a priest from the Payerne Abbey. The would-be murderer gravely wounded the young preacher with his sword and left him for dead, thus seeking to douse the Light against which he could not dispute. Discovered by his friends, Viret, half-dead, was slowly nursed back to health and soon continued his work in another city: Geneva. He later, he preached at Neuchâtel however, before linking up again with Farel in Geneva in 1534. In 1534 Viret journeyed to Geneva to again assist Farel in his Reformation work. Viret and Farel preached salvation and reform in Geneva for the next two years. The city was in an uproar: its citizens had decided to cast off the rule of the Catholic Duke of Savoy, but they had not yet embraced Protestantism. Viret celebrated the first Genevan baptism according to evangelical forms, took part with Farel in the debate that convinced the Council of Geneva to renounce Catholicism, and, in 1536, silently witnessed Farel accost Calvin and inform him of God’s will for his life. But in 1534 Geneva was still quite hostile to the teaching of the new preachers, and another murderous attempt awaited the young men. Catholic radicals tried again to silence Viret’s voice, this time by poisoning his spinach soup. At the instigation of the Catholic authorities, a woman, Antonia Vax, was persuaded to eliminate both Farel and Viret by serving them a poisoned spinach soup. Farel, declaring the soup to be too thick, asked for something else to eat. Viret, however, still pale and weak from his sword wounds, was assured by Antonia that the soup would aid in the restoration of his health, and trustingly ate an entire bowl of the poisoned dish. He grew dangerously ill and lay for some time at the point of death. Upon hearing the news, the townspeople of Geneva mourned the impending loss of their beloved Reformer, exclaiming, “Must the Church be robbed of such a pearl?… Poor Viret! Poor reformers!… Sword-cuts in the back, poison in front … Such are the rewards of those who preach the Gospel!” Viret suffered from digestive problems for the rest of his life, but he would not be intimidated. This episode, though so detrimental to the Reformers, also brought much damage to their adversaries as many now looked with suspicion and contempt upon the perpetrators of such a base crime. The priests and monks were henceforth regarded with grave doubt and misgiving, and little more than a year later, through the indefatigable labors of Farel and Viret, the General Council of Geneva officially accepted the Reformation. With the Protestant faith now firmly planted and Calvin ensconced alongside Farel, Viret left Geneva to help consolidate the Reformation in Lausanne, the chief city of his native Pays de Vaud. Lausanne had just come under the authority of Bern, a Protestant canton of Switzerland. The Bernese, desirous of winning their newly acquired city to the gospel, organized a public disputation in which the principal elements of the faith would be discussed. All Catholic clergy were required to be in attendance. The defense for the Reformed was offered primarily by Farel and Viret, who ably championed the cause of Christ. Calvin also attended the debate, speaking twice throughout its course. At the close of the week-long disputation, Lausanne declared for the Reformation, and Viret was appointed pastor of the city. Though Lausanne was now officially Reformed, it was still heavily steeped in Catholicism. To rectify the ignorance rampant among the priesthood, Viret determined to begin an academy for the training and education of young men for the ministry. Under the oversight of the Bernese authorities, the Academy was founded in January of 1537 and was the first Protestant and Reformed academy of the French-speaking world. The Lausanne Academy boasted learned instructors from Italy, Germany, France, and Switzerland. Theodore de Beze, future successor to Calvin in Geneva, was principal of the Academy for nine years. Many renowned men of the faith received their training at Viret’s Academy, including Zacharias Ursinus and Caspar Olevianus, authors of the Heidelberg Catechism of 1562, and Guido de Bres, author of the Belgic Confession of 1561. At the Lausanne Academy, Viret met with a singular joy when the Lord provided him a godly bride. On Sunday, October 6, 1538, Viret and Elisabeth Turtaz, a lady of Orbe, were married. Farel presided over the ceremony. Two months following these celebrations, Viret was recalled to Geneva after Calvin had been banished from that city. Viret’s loving spirit and gentle character had made him a favorite among the Genevans, and they longed to again have him as their pastor. Known as the Smile of the Reformation, Viret worked in Geneva “to rebuild the ruins, to dress the wounds, to reconcile the divers and opposing elements.” Viret remained a year in Geneva, during which time he urged the Council upon several occasions to recall the exiled Calvin. However, upon his return, Viret lived in constant tension with the authorities in Berne, however, who wanted to keep a tight political rein on Lausanne. Following a confrontation at Easter 1559, the Bernese exiled Viret. Soon thereafter, Viret joined his old friend Calvin in Geneva, bringing with him many of the Lausanne ministers, all but one of the faculty of the Academy of Lausanne, and nearly 1,000 of his parishioners. From this, Calvin’s city became the undisputed center of the Reformed world. Needless to say, the Genevans loved Viret. They immediately elected him a minister of the Geneva Church and assigned him a salary of 800 florins plus 12 strikes of corn and two casks of wine a year. The Council also provided him a commodious house, which Calvin, perhaps a bit enviously, noted was bigger and better furnished than his own. I read that passage of your letter, certainly not without a smile, where you shew so much concern about my health, and recommend Geneva on that ground. 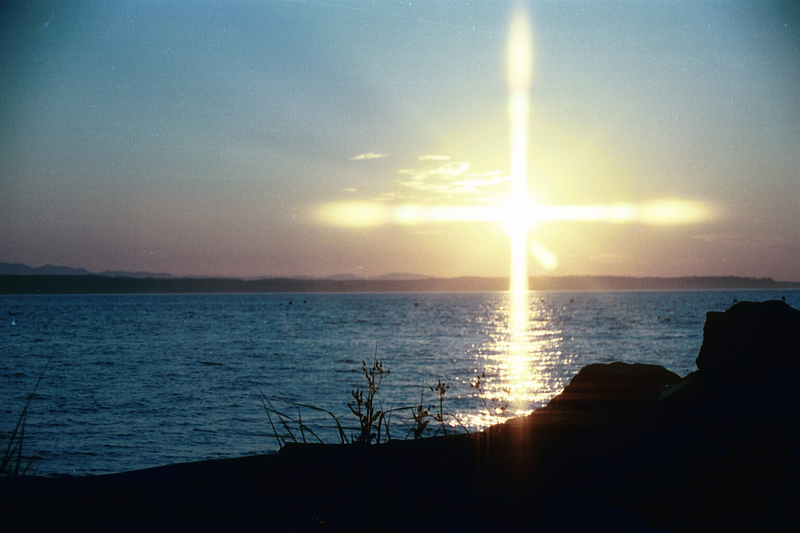 Why could you not have said at the cross? For it would have been far preferable to perish once for all than to be tormented again in that place of torture. Therefore, my dear Viret, if you wish well to me, make no mention of such a proposal. You cannot imagine the attentiveness with which they listen to my discourses, and what a crowd of men they attract … such tranquility reigns in the republic, it is completely transformed, and has taken on a wholly new appearance … The Lord has offered us a most favorable moment. If you neglect it, Calvin, the Lord will certainly punish you for neglecting the Church, and not you only, but also those who restrain you. Viret’s selfless assistance of Calvin was not overlooked by the elder Reformer. The friendship of these two men expanded significantly during this time and showed itself in a beautiful brotherly relationship growing and deepening throughout the course of their lives. “Come to distract yourself, not only from your sorrow, but also from all your troubles. You need not fear that I will impose any work on you. I will take care that you enjoy your own pleasure in tranquility. It will at least be a testimony to this present age and perhaps to posterity of the holy bond of friendship that unites us. I think there has never been in ordinary life a circle of friends so heartily bound to each other as we have been in our ministry. One matter of constant concern to Viret was church discipline. This, he rightly believed, was a tool pertaining solely to the church authorities, not the civil government. The lords of Bern, on the other hand, reserved this right to themselves alone, requiring Viret and other pastors to submit all requests for discipline to the Bernese for either approval or rejection. We have not been called to this charge [the ministry] to close our eyes, to keep silent, to conceal vice, and to cover the scandals of those who have been entrusted to us, but to be on guard, to be attentive, to unceasingly lift our voice with strength, when needed … We must do this to discharge our duty in good conscience. As Christmas communion approached, Viret announced that he could not in good conscience administer the sacrament without first being permitted to examine and instruct those who wished to partake. Going before the Council of Lausanne, he begged a seven-day postponement of the communion service to provide the time necessary to examine the communicants. After much debate, the Council agreed to grant the pastors the stipulated time. When news of the ruling reached Bern, however, the magistrates were outraged at this usurpation of their authority. They sent immediately to Lausanne to countermand the decision of the Council and to dismiss and expel Viret and his colleagues. Thus ousted, Viret and his associates were ordered to pack their belongings and leave the city. A refuge was soon found in the neighboring town of Geneva, where Calvin welcomed his friend with the warmest affection. Geneva’s joy at receiving their former pastor again after a “loan” to Lausanne of twenty-two years was unimaginable. The city welcomed the exiled Viret with acclamation and open arms. Viret was immediately assigned the Church of St. Germain in which to preach, but the multitudes that pressed in to hear his sermons were so numerous that a new location had to be found to accommodate the crowds. The Council therefore determined to move Viret’s preaching to the larger church of St. Pierre, which would provide ample room for the masses desirous of attending the sermons. Despite Viret’s important assignment and generous treatment, he grew restless. Geneva was now almost completely Protestant and back again firmly under Calvin’s theological control. News from France, where Protestants suffered harsh persecution and lacked pastoral guidance, turned his mind to a new challenge. In 1561 Viret requested leave from the Geneva Council and Company of Pastors to visit the land of the Huguenots. The official reason was that his ailing health demanded warmer climes. However, once in southern France, his heart is touched by the need that he sees there, and he quickly recovers sufficient strength to engage in continuous rounds of impassioned preaching. He traveled first to Lyon, and then on to Nîmes, Viret arrived in Nimes on October 6; the city received him with the greatest warmth. Indeed, the churches were not large enough to contain the crowds that sought to hear him; Viret was therefore compelled to preach in open fields and pastures. The multitudes responded eagerly to the Word of God, and on January 4, 1562, in a service lasting six hours, Viret administered communion to over eight thousand believers —almost the entire population. Riots followed many of his sermons, despite Viret’s pleas for peace. Despite the desperation of the letter, the Council of Geneva did not grant the request. Indeed, they were so flooded with letters begging for Viret’s presence that they at last decided to let Viret himself decide where to proceed. The leaders of Nîmes begged him to remain with them. Requests again poured in from Montpellier, Montauban, Orleans, and even Paris. Viret at length decided upon Montpellier; he entered that city in February of 1562. There he saw the conversion of nearly the entire faculty of the city’s famous medical college. Only the outbreak of the first War of Religion interrupted his ministry. Though there was fighting in the Montpellier area, Viret’s personal intercession apparently kept bloodshed to a minimum. Royal authority was re-established in Lyon in July, 1563, however, and with it Roman Catholic worship. In the months that followed, Viret participated in a pamphlet war with the returned Catholic leader and with various radicals and dissidents in the city. This multi-sided verbal warfare continued for nearly two years until local Catholic clergy obtained a royal order for Viret’s expulsion from the kingdom of France. The notice giving him eight days to leave the country was delivered on August 27, 1565. Viret fled to Béarn in Navarre, a semi-autonomous kingdom in what is now southwestern France. He was befriended there by Jeanne d’Albrêt, the staunchly Protestant Queen of Navarre and mother of the future Henry IV of France. She made Viret one of her chief advisers and superintendent of the academy she had established at Ortez. In March of 1563 Viret’s ministry was severely threatened by the issuance of a royal edict forbidding all foreign-born pastors from ministering in France. Because of Viret’s renowned Christian character, however, he was exempted from the edict by request of the Catholics themselves. Eventually, Catholic forces captured Viret and 11 other Reformed ministers in a surprise attack during the third religious war (1568-1570). The Catholic commander ordered the execution of 7 of the 12 but spared Viret largely because of the positive reputation he enjoyed even among his ecclesiastical enemies. A few weeks later, he was rescued by counter-attacking Protestant forces and returned to his intense and successful ministry. Like the site of his death and burial, which remains unknown to this day, the life and theological greatness of Pierre Viret remains unknown to the church at large. Is this also the work of God? Has He thus withheld His Reformer, perhaps awaiting the time when, in His providence, Viret’s life and thought shall be most needed for His church? Pierrefleur, Mémoires de Pierrefleur (Lausanne: Éditions La Concorde, 1933), 137. Henri Vuilleumier, Notre Pierre Viret (Lausanne: Librairie Paytot & Cie, 1911), 87. Schnetzler, ed., Pierre Viret, 65. Bulletin de la Société de L’Histoire du Protestantisme Français (Paris, 1864), 93. Doumergue, Lausanne au temps de la Reformation, 46. J. Cart, Pierre Viret, le Reformateur Vaudois (Lausanne, 1864), 118. Pierre Viret, Instruction Chrétienne (Lausanne: L’Age d’Homme, 2008), 348. …Livingston came to Ancrum. This proved a great benefit to the young Christian, Pringle, who found in him a minister after his own heart, and one well able to deepen and enforce he impressions of divine things he had already begun to feel. Livingston, in addition to his more substantial gifts, had the gracious manner of the Court, where indeed he had often been, and commanded respect alike by his birth, his breeding, his intellect, and his piety. His manner of preaching Pringle found very impressive, as that of one who had seen the glory of God in some divine vision, and who spoke out of that hidden knowledge things which himself had both seen and heard. The young laird traveled from Stitchel to Ancrum every Sabbath-day, thinking the pains of his journey well spent for the sake of such company and privilege. In his Memoirs, from which most of these particulars are derived, Pringle speaks of an event which gave him much concern, and made Livingston’s advice peculiarly valuable to him. 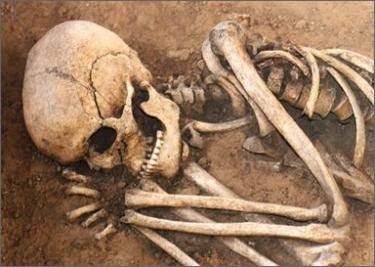 He had been engaged at the fatal field of Dunbar, where he took such a prominent part that it became unsafe for him to remain in his own house while Cromwell and the English army occupied Scotland. He accordingly fixed his dwelling at Torwoodlee, paying visits to his wife and family at Stitchel as he found opportunity. It thus happened that returning thence one night in his brother-in-law’s company, he met one of the enemy’s troopers, who attacked him very fiercely. Pringle stood on his defense, and, proving the better swordsman, killed his opponent out of hand, –the man asking no quarter, and it being impossible to get any prisoners carried thence to the army in the north while the Lothians were held by the English. This violent action, however necessary and justifiable, left him under serious apprehensions. He now reflected more than ever on the sins of his past life,and so nearly fell into a settled melancholy that it was a matter of the greatest moment to him, and one on which he ever afterwards reflected with thankfulness that he now had the guidance and help of his new spiritual teacher to save him from despair. Under the winning and able ministry of Livingston his unquiet spirit found peace, and henceforth the bond which united him to his chosen pastor was one of the closest and most enduring kind. It is singular, indeed, to remark the number and quality of the natures over which the minister of Ancrum exercised this commanding influence. He owed his preeminence to the art he had of bringing men to a greater Leader, even to Jesus, Whom he himself constantly owned and obeyed. His influence was perhaps the highest of that time in our country, and may be clearly traced in not a few of the events which followed. It might have been supposed that the part which Pringle played at Dunbar, and in his midnight rencontre, vouched for by the fact that his family had paid a hundred pounds as indemnity for the trooper’s death, should have saved this tender-hearted, brave, and loyal gentleman from the sufferings endured by so many of his rank on the king’s return. On the contrary, however, he was marked out as one of the first victims, being cast into the castle of Edinburgh on the 26th of September 1660, where he lay for fifteen days in the company of Sir Andrew Ker of Queenhead. The charge on which the Committee of Estates proceeded against these gentlemen was that of ”aiding ,assisting, and partaking with the remonstrators and seditious persons”: so close a correspondence had Pringle kept with Livingston, and so soon was he made to suffer for that friendship. Two years later he shared the general losses of his party, being fined 3000 Pounds by Middleton’s Parliament. Most of those whom the Committee of Estates had laid in prison on the 23rd of August were in a few weeks; but their leader, Mr James Guthrie, remained still in confinement, being reserved as an example to the rest. He had indeed, like Pringle, been a sufferer for his loyalty to the king,” the Commonwealth quartering soldiers upon him for some time in Stirling, because of the uncompromising way in which he upheld the cause of the monarchy. This, however, did not suffice to save him from the malice of his enemies. Middleton was now in power as the Royal Commissioner in Scotland, and Middleton had never forgotten that his excommunication of ten years before had been pronounced by the minister of Stirling. He perceived that the time was now come to execute his long cherished purpose. On the 20th of February 1661, Guthrie stood at the bar of the Estates to answer a charge of treason involving capital pains. It is significant that of the five articles in the indictment four refer to affairs of ten years before,when Middleton himself was so highly concerned in what took place. Guthrie was accused of venting treasonable matter tending to the strengthening of the usurper Cromwell, and the confusion of His Majesty’s cause, a charge so utterly contrary to the truth that nothing but malice could have suggested it. He had, it was said, drawn up a paper called the “Remonstrance”; he had followed it by another publication of the same kind in “The Causes of God’s wrath,” which appeared in 1638; he had contrived the petition lately drafted for presentation to the King, and had also presumed to design the calling together of the lieges in support of that paper: such were the main articles of the indictment. As it were by an afterthought, his declining the Civil Authority in 1651 was further alleged against him; and, to render the prisoner more odious in the eyes of his judges, the extraordinary assertion was made, that in 1660, or the following year, he had moved in a meeting of ministers that the King should be secured in the castle of Stirling,and that, upon the objection being offered that to do so were as good as to take away His Majesty’s life, Guthrie had answered that the time for that was not yet ripe, but that imprisonment might be a step to that conclusion. To the first and last particulars of the charge the accused gave an absolute denial: he had not composed the remonstrance, nor had he spoken a word against the King’s life or liberty. It is unnecessary to speak of the rest of his defenses in detail. They were very able, for not only had he the help of good counsel, but himself showed such knowledge of the law and acuteness in applying it as to make his advocates wonder. In another place, or at another time, no doubt, he would have been absolved, but in the Court where Middleton presided his death was already determined on. The King, it is said, would have spared Guthrie, and expressed some resentment at his doom, but the High Commissioner was of another mind, and pushed affairs relentlessly to the end he had designed. The sentence further ordered Guthrie’s coat-of-arms to be defaced. In humble submission to this indignity, he sealed his testimony twice, turning the seal, so that the impression of the coat was lost, and that of the cross appeared instead. “I have nothing more to do with coats-of-arms,” he said. It was indeed this thought of conformity to the sufferings of Christ, never absent from his mind, and sometimes rising to the pitch of a longing he thought sinful,which now returned in all its force to sustain Guthrie during the supreme hours of his life and martyrdom. He was uncommonly cheerful in prison, and received with unfailing courtesy the many visitors who came to bid him farewell. Rising early on the morning of his execution, he spent some hours in private devotion, after which he saw his wife for the last time, and bade her adieu. The orders ran that his hands were to be bound as he went to the scaffold, but his infirmity of body made this pretended precaution not only ridiculous but impossible, and the cord was loosed so that he might have the use of his staff Bent with age, and weakened by months of prison and sickness, but filled with an inward peace which made his heart light, the martyr passed slowly down the few yards of causeway which separated the Tolbooth from the Cross. The High Street was densely thronged with people, and from the lofty windows on either hand, many looked out to see him die. He is said to have mounted the scaffold with such surprisingly lightness of foot, and bearing so bright a joy in his looks, that, to the apprehension of those who saw him, he seemed half-way to heaven already, a notion which the spirited words and manner of his dying testimony, now delivered,did much to increase and impress. It was a great hour, and never, we may feel sure, either at Lauder or Stirling, had Guthrie addressed such a crowd, or spoken with so much conviction and power. His last words were heard as he was actually in the hangman’s hands, and fell upon his hearers with that power of surprise which is the supreme secret of effective speech. All eyes were bent upon the martyr, and every breath stilled in a silence which could be sensibly felt,when Guthrie, raising suddenly as in a rapture the napkin bound upon his face, broke that awful stillness with a cry of triumph, as of one who in the very article of a great agony had wrestled with God for a blessing and had prevailed. “The Covenants,” he cried, “the Covenants shall yet be Scotland’s reviving,” and so passed to his incorruptible crown, leaving with his latest breath a testimony which Scotland was not soon to forget. German and Austrian churches apologize for Holocaust actionsBY MARK A. KELLNER, assistant director for news and information of the General Conference Communication Department oting the sixtieth anniversary of the end of World War II, Seventh-day Adventist church leaders in Germany and Austria have released a declaration saying they “deeply regret” any participation in or support of Nazi activities during the war. The church bodies “honestly confess” a failure “in following our Lord” by not protecting Jews, and others, from that era’s genocide, widely known as the Holocaust. Millions of people perished from war atrocities, including more than 6 million Jews who were exterminated in Nazi persecutions during the 12-year period of 1933 to 1945.The declaration was initially published in the May 2005 issue of AdventEcho, a monthly German-language church magazine, and also will appear in other German publications, said Günther Machel, president of the South German Union Conference and one of three signatories to the statement. A copy of the statement has been provided to Yad Vashem, the Holocaust Martyrs’ and Heroes’ Remembrance Authority in Israel, added Rolf Pöhler, a former North German church area president who is now that region’s theological advisor and was involved with the drafting of the declaration. Brugger, in a telephone interview, said, “Our church members really appreciated the publishing of this document.” No indication of a reaction from Austria’s Jewish community has been received, but Brugger said the Adventist Church is not as well known in Austria as some other movements are. “We not only kept silent, but we also published things we never should have published. We published anti-Semitic ideas that, from our perspective, weren’t really needed,” Pöhler said in a telephone interview. Young adult church members reacted positively to the statement’s expressions of concern and contrition. Copyright © 2014, Adventist Review. All rights reserved worldwide. Online Editor: Carlos Medley. SiteMap. Powered by SimpleUpdates.com © 2002-2014. User Login / Customize. They say that Christians merely use grace as an excuse to avoid keeping the Law. But there’s a funny thing about the term “cheap grace.” It entered the mainstream Christian lexicon in a book by Dietrich Bonhoeffer entitled The Cost of Discipleship. Bonhoeffer said that, “cheap grace was grace divorced from discipleship.” It was a false grace that did not call the recipient to submission to Jesus Christ. It was forgiveness without repentance, a justification that didn’t lead to transformation. Bonhoeffer wrote The Cost of Discipleship in 1937. It was, in a sense, an indirect response to the way the state churches had embraced Hitler and Nazism. They had consented to racial purity laws within their congregation, and generally supported and even worshiped Der Fuhrer. Bonhoeffer, in contrast, had already made himself a source of scorn when, two days after Hitler was installed as chancellor, he tried to deliver a radio address calling German Christians to oppose the Nazi regime. He thought Germany had succumbed to a horrible idolatry. He was right. But the German state church wasn’t the only denomination that gave itself up to Nazi evil. Adventists like to criticize the Catholic church for its alleged complicity in the sins of Nazism. But they conveniently gloss over the fact that, though several private SDAs tried to help the Jews, the denomination itself, and most of its adherents, were an active supporter of Hitler’s regime. Dr. Zdravko Plantak, one-time head of the religion department at the SDA Columbia Union College, wrote a book called The Silent Church: Human Rights and Adventist Social Ethics. In it Plantak describes how the Adventist church became an active participant in the Nazi regime. For those of you who don’t notice, the Calendar referenced Hitler’s sacrifices for “his struggle.” Hitler’s famous book that laid out his philosophy was called Mein Kampf, or, in English, My Struggle. Clearly, this is an open endorsement of Hitler’s philosphy by the German Adventists of the day. It is ironic that while Adventists had insisted upon religious liberty, they did not raise a voice against the persecution of countless Jews. Instead, they even disfellowshipped those of Jewish background. At a time when German Adventists were publishing the religious liberty magazine Kirche und Staat [English: Church and State] (an outside observer noticed its primary purpose as being the opposition to the Sunday laws), they kept quiet about the 1933 purges when hundred were murdered, and they said nothing against the persecution of Jews or about the occupied territories. Because Adolf Hitler let them keep their precious Sabbath, most Adventists didn’t oppose the Nazi Regime. Corrie Schroder, student at the University of California, Santa Barbara, wrote a seminar paper dealing with Adventist complicity in the holocaust. 2) In exchange for being allowed to keep their precious Sabbath, the German SDA church offered to help cultivate a better image for the Nazi regime among their counterparts in the United States. The SDA denomination sent Hulda Jost, head of their church welfare system and leader of the Adventist Nurses Association, to the U.S. to convince American Adventists to support the Nazi regime. Now, to the credit of American Adventists, when Hulda began touring the U.S. spouting Nazi propaganda, they basically told her to cut out the propagandizing. 3) Though Adventists claim to believe in “separation of church and state,” they allowed their well-organized welfare system to be taken over by the Nazi government. The Adventists actually welcomed this take over. And, without any pressure from the Nazi Regime, the Adventists required that no members of the SDA Reform movement were to benefit from its welfare program. Many German Christians supposed that, because they were under grace, they could compromise their integrity by winking at, or even taking part in, the sins of Nazism. Adventists, in contrast, believed that in order to maintain their Sabbath and the existence of their special remnant denomiation, they had to sacrifice everything else to the Nazi ideology. So next time an Adventist starts to lecture you about “cheap grace,” give them this article. The “Three Great Words of Jesus” were taken from the “British Monthly,” 1904. …cannot miss the significance of such great events in the life of Jesus as the Baptism, the Transfiguration, and the Agony. Everyone knows them as the cardinal points in the story of the evangelists; everyone must have sought in them a key to our Lord’s purpose and work. But there are outstanding moments in His life of a more incidental kind,moments which have an interest all their own, because we see in them the sudden emotions of the Savior’s soul. At such times there is an abrupt and, if we may reverently say so, an unusual and startling grandeur in His words ; the thrill with which He saw and spoke of certain things vibrates across all the centuries, and we seem to know Him for an instant with peculiar reality. One of these high moments was that in which He encountered the centurion, at whose faith He marveled. Unbelief excited His wonder, but it depressed Him and restrained His power; He could do no mighty works in presence of it, and it froze in a manner both His heart and His speech. But the unexpected faith of the centurion was a wonder which moved and exalted Jesus. As He looked upon the Gentile, whose faith had surpassed that of Israel,the air seemed to become clear and transparent around Him; the future broke in upon the present; the magnificent vision rose upon His mind of multitudes coming like this foreign soldier from the East and the West and the North and the South, and sitting down with the fathers of Israel in the Kingdom of God. The word in which He foretold this issue of His work is one of the most sublime and, w-hen we realize the access of feeling under which it was uttered, one of the most moving in the Gospel; it gives us a glimpse into the soul of Jesus of priceless worth. If anything is characteristic of Him, it is this,that He sees in a single instance not merely the possibilities of the individual soul, but something prophetic of God’s kingdom, and that His heart leaps up to hail the glorious outlook. Despairing views of men and races are often based upon their circumstances, but this great word of Jesus reminds us that circumstances are not omnipotent. Underneath their constant pressure, let it be as malign as it may, as malign as that of paganism in the first century, the soul of man still lives “a soul made originally in God’s image” still in blind dark, striving-seeking God, and capable when it finds Him of immense devotion. The finding does not depend upon outward advantages, and when Jesus meets with faith in unexpected places, it is an unanticipated joy, and uplift seven His speech to a more poetic and prophetic tone. It is a great thing,and it acts with great power upon Him. It evokes the keenest and most triumphant emotion. And though one cannot exactly speak of Jesus as an example in this respect ” for we cannot attempt to copy what can only come into being spontaneously “He is nevertheless a test. A true Christian will be more deeply moved, he will feel that he is in contact with a far more divine and hopeful reality, when he remembers, for instance, the two boys who carried Livingstone’s body from Bangweolo to Zanzibar, than when he considers the most reckless exploits of fortune-seeking adventurers in Africa. The faithful hands that did that last service for the dead are a prophecy of the future of the dark continent worth more to Christian eyes than any prospectus or report ever issued. Possibly Christ still marvels that He finds in Livingstonia and in Madagascar what He fails to find among us” a deeper penitence,a stronger faith,a more passion and longing for purity of heart, and more self-denying love. Certainly nothing can be more alien to Him than the temper which sneers at the results of missions, but has no knowledge and no conception of what faith can be even to the most degraded of men. There are prophecies of heaven among the heathen, there are black men in whose hearts there is that which unveils to Christ the universality and glory of His Kingdom, and draws from His lips the loftiest words He ever spoke. Who can afford to be on the other side from Him ? It was another such moment in the life of Jesus when, as He sat by the treasury watching the people cast in their gifts, there came a poor widow who cast in two mites. They were all her living. Her offering was not an act of generosity only it was an act of the most heroic faith. The woman left herself with nothing but God. Trust like this in the Heavenly Father was dear to the Savior’s heart, and He could not refrain from calling the attention of His disciples to it. He had been depressed by the want of faith in those who represented Israel officially; the temple in which He sat, and in which He had just been pronouncing woes on the hypocrisy of Scribes and Pharisees, must have seemed to Him the citadel of all that was irreligious and hopeless in His people. Yet even here faith not only lived but flourished, and, applying the measure of God to what the world passed by as an act too small for consideration, Jesus declared that the poor woman had cast in more than all the worshipers. There was more in her act that spoke of God, more that signified reliance upon Him, more that attested His gracious presence and fatherly providence in the world, than in all the liberal offerings of superfluity; and therefore Jesus rejoiced in it with great joy. Faith like this may be most within reach of the poor. A man who has money in the funds does not so easily trust in God; almost inevitably he trusts in the empire. But the poor, who have nothing behind them but God, when they are generous at all, are generous on another scale, and at another risk. The help they give to each other has often been remarked, and probably it is the best help which can be given; the sacrifices they have made for the Kingdom of God have never been adequately appreciated. The self-denials of poor people, who at real cost, in small places, have maintained the Christian Church, with its worship and all its ministries, are even yet perpetually disregarded; yet, if the warm praise which Jesus bestowed on the widow means anything, can we doubt that the hardly won savings of laboring men and women, freely given in country chapels, have been a greater joy and hope to Him than most benefactions of pious founders, than all the restorations of cathedrals by millionaire distillers and brewers? falling too sensibly over the company. The soul of Jesus was never more alone ; there is no point in the Gospel history at which the disciples seem to have been less at one with Him. They were not alienated, but they did not understand the situation in the least ; and though they were not without love, it was not for the moment intelligent enough to yield Him sympathy. But at this very moment Mary came with the alabaster box of ointment of spikenard, very precious, and broke the box, and poured it on His head. The passionate, loving action needed no words for its interpretation; it was the appropriate expression of an emotion for which words were too weak. And it is characteristic of Jesus that this strong expression of emotion evoked a sublime response from Him. It moved Him as He had been moved by the great and unexpected faith of the centurion. A moment before, He might almost have despaired of His work; now, if we may say so, He felt that its success was assured. Love which could command devotion in human souls like that which revealed itself in the anointing at Bethany might well be confident of the future. Upon the instant, therefore, the future was unveiled; Jesus saw the Gospel, in prophetic vision, preached in all the world, and wherever it was preached the anointing at Bethany was told for a memorial of Mary. Perfect love never met a more perfect reward. And divine as it is, nothing brings our Lord nearer to us, nothing makes Him more truly human, than this susceptibility so,to speak,to strong and sudden emotions in which a world that is ordinarily more or less latent comes into quick and vivid consciousness. It is not the temperament of the poet which explains this, though probably poetry crystallizes under just such impacts as these. There is more than poetry here. There is faith, the assurance of a divine presence and a divine purpose in the earth, liable, no doubt, to be disheartened by much, but capable also of heavenly visions, and with a power of sublime prophetic speech, when it meets that to which it is spiritually akin. …because there was no religious liberty. One small denomination that survived was the Seventh-day Adventist denomination. When Adolf Hitler rose to power in Germany, the German Seventh-day Adventist denomination (hereafter referred to as Adventists) believed it was time for a strong leader in Germany. Hitler seemed to be the best candidate because of “his personal dedication and his abstinence from tea, coffee, alcohol and meat, practices shared by the Adventists, [therefore] he was welcomed as a savior.” I hope to point out, because of the willingness to compromise the decent of the German Adventist denomination from the moral issues listed below, to where they ended at the end of World War II. They ended in compromise, loss of personal integrity, and denominational integrity, splitting of the denomination and were racially damaged as a Christian organization because they were unable to hold fast to the tenets of their beliefs. They tied the denomination to the German State giving up their religious freedom in attempt to survive through compromises. This position of compromise brought shame upon the German denomination as well as the worldwide denomination after the end of World War II. The Seventh-day Adventist denomination was not officially organized until May 21, 1863, even though the name had been chosen in 1860. At that time, the movement included 125 churches and 3,500 members. The Adventist church spread first throughout North America. After 1874, the denomination spread throughout Europe. In 1888, L.R. Conradi became the founder of the German Adventist church. He established headquarters for the Adventist Church in Hamburg, Germany in 1889. Conradi also established the first Adventist school in Germany near Magdeburg, called Friedensau Missionary Seminary. A Seventh-day Adventist – in Germany – had many difficulties. The two main difficulties were their children had to attend school on Saturday, which is considered the Sabbath by Adventists. The second difficulty was the mandatory military service. Refusing to send their children to school and not joining the military were punishable by imprisonment. The problem with the schools was solved by a compromise. The government authorities allowed Adventist children to study their bibles while in school on the Sabbath.Military service posed two problems, working on the Sabbath and bearing arms. These problems were never truly solved, but “army medical examiners began to find all manner of excuses for rejecting Seventh-day Adventist recruits.” This rejection of Seventh-day Adventist men ended with the start of World War I. This caused a problem within the Seventh-day Adventist denomination in Germany. The Seventh-day Adventist Reform Movement came about because of the controversy over military service. During World War I, the German Seventh-day Adventists churches belonged to different Unions, North, South, East, and West, but all were under the guidance and control of the European Division. The European Division’s headquarters was located in Hamburg, Germany. The main problem was that most of the members serving as Division leaders lived outside of Germany and because of the war, travel and communication were difficult. With the outbreak of the war and the mobilization of troops in Germany, the German Adventist leaders decided, “Adventist men could enter the military and serve as combatants and even ignore traditional Sabbath observance.” This caused major problems within the Adventist community, because they had always served in the military as non-combatants. The rank and file members believed that actively participating in war broke the fourth and sixth biblical commandments. The fourth commandment is “Remember the Sabbath day by keeping it holy.” When entering military service, keeping the fourth commandment is no longer a priority, because the warring sides do not take into account what day it is. The sixth commandment is “You shall not murder.” If you take a combatant role in war it is nearly impossible not to kill someone. The denomination of Christians calling themselves Seventh-day Adventists, taking the Bible as their rule of faith and practice, are unanimous in their views that its teaching are contrary to the spirit and practice of war; hence, they have ever been conscientiously opposed to bearing arms. But during World War I, the German Seventh-day Adventist denomination went against the General Conference and decided to become combatant instead of remaining non-combatant. This caused a small group of Seventh-day Adventists to split from the main body of the German Seventh-day Adventist Church. This small sect called itself the Seventh-day Adventist Reform Movement (hereafter referred to as the Reformers). The Reformers believed they were remaining “faithful to the law of God, upholding the original position, as taught and practiced up to that time.” They were remaining faithful, because they refused to be combatants during WWI. It was acceptable to the Reformers to join the military as non-combatant, but to join as combatants was against God’s law and the doctrines of the Adventist Church. they were in complete ‘harmony with the general teachings of their brethren of that denomination throughout the world.’ But this declaration was weakened by the additional pronouncement which read: ‘We grant to each of our church members absolute liberty to serve his country, at all times and in all places, in accord with the dictates of his personal conscientious conviction. The leaders of the German Adventist denomination told the General Conference they were wrong in their policies during World War I. They had realized their mistake and were once again in “harmony” with the teachings and doctrines of the Adventist denomination. But they believed their members had a right to choose their own path. What this meant was the German leaders believed that Adventists should remain in non-combatant roles, but they believed their members could decided on their own whether or not to be combatant. This statement would cause problems in the future. In the Adventist town of Friedensau, Germany 99.9% voted for the Nazi parliamentary state. Even though the Adventists wanted a strong Fuhrer and supported Hitler, that support varied. The reason was because of Hitler’s contradictions about religious liberty. The departmental secretary of the South German Union Conference, M. Busch, was in support of Hitler and “approvingly quoted Hitler’s statement in Mein Kampf that ‘for the political Fuhrer all religious teachings and arrangements are untouchable.’” The Adventists believed that Hitler was for religious freedom, while the Nazi Party was against it. “Still, point 24 of the Nazi party program stated that the Party supported positive Christianity, without tying itself to any particular confession.” This was a debatable problem among Christian groups because no one knew what “positive” Christianity was. This problem was never clarified and the contradiction remained. When Hitler became dictator of Germany the discussion on the contradiction ended and very soon Christian groups would know what Hitler meant by “positive” Christianity. On November 26, 1933, the Nazi state banned the small denominational churches. Among those prohibited were the Seventh-day Adventists. The Seventh-day Adventists decided to seek legal advice on what to do about the ban and within two weeks, the ban was lifted on the Adventist denomination. After this, it was decided within the denomination that “positive” Christianity meant support for the Nazi state. To show their support for the Nazi state, the Adventists sent a letter to the “Nazi Ministry of Interior an official memorandum on Adventist teachings, church organizations, social activities and attitude to the government.” The Adventists also informed the Interior that there church “members hold ‘German attitudes.’” Pointing out that the government’s suspicion and concern should be to a “rival schismatic group, the Seventh-day Adventist Reform Movement, whose attitudes, the Adventists insisted, were far from ‘German.’” It seems that the Adventists were more concerned with holding German attitudes then holding Adventists attitudes. It was because of this letter that the Nazi government noticed the Reform Adventist denomination. In trying to distance themselves from the Reformers, the Adventists led the Nazi government to them. The government investigated the Reformers and decided that they held different views from the acceptable Seventh-day Adventist denomination. The Reformers were then banned on April 29, 1936. The Seventh-day Adventists believe in religious liberty, but instead of voicing their outrage over the persecution of the Reformers and the Jews, the Adventist leaders decided to take action against these two groups. The Adventist leaders “issued directives to prevent the Reformers from joining the Adventist Church.” And they expelled Adventists who had a Jewish background from the Church. The Adventists were unwilling to even protect their own members if they thought the Nazi government would disapprove. The state was able to control the Church because there was no religious liberty. This is not to say that individual Adventists did not help Jews or other undesirables. The Adventists were notable, for the private and individual help they gave to Jews, for not only were Jewish converts cared for and hidden, as they were in some other sectarian and church circles, but help was also given to unbaptised Jews with whom Adventists happened to come in contact. In 1935, the privileges enjoyed by Adventists, such as keeping the Sabbath, selling religious literature, money transfers that were necessary for missionary work, and certain publications were forbidden. This made the German Adventists reconsider their position on religious liberty of keeping church and state separated. They knew Nazi Germany was receiving a bad public image abroad because of its treatment of small denominational churches whose home base was in the United States. If the smaller denominations were willing to help improve the Nazi image abroad, the Nazi government was willing to allow those denominations some leniency. This was the starting point of the German Seventh-day Adventist denomination sacrificing integrity and basic denominational principles. The denomination “worked with German authorities to cultivate a better image for Nazi Germany in America in order to get better treatment at home.” This was accomplished through the Adventist welfare program. The Seventh-day Adventist welfare system was considered the best in Germany. Their organization in welfare made the Adventists stand out. Through their welfare system, the Adventist Church was able to show their “Christian principles and [their] patriotic loyalty to the state.” The Nazi government was satisfied with the work the Adventists were doing but not with the language. Instead of using “Christian” it was renamed “heroic.” The Adventists welfare program was incorporated into the state’s National Socialist People’s Welfare Department. The incorporation went against their belief that church and state are to remain separate. The German Adventists welcomed the incorporation of their welfare program. They believed they could accomplish greater things and help more people. But with the incorporation, the Adventists had to obey the state’s laws, which were, no Jews, anti-socials or undesirables were to be given welfare. The Adventists – on their own – added that no Seventh-day Adventist Reform Movement members were to receive help. The Adventists were not helping more people, in fact they were discriminating against the people who needed their help the most. Along with the welfare programs of the Adventist, the health reforms and racial hygiene became important. The Adventists believed that along with their welfare program, their health ideals were leading the way for a new Germany. Adolf Minck, soon to be president of the German Adventist Church, said, “We are not unprepared for the new order. After all, we have helped prepare the way for it, and helped to bring it about.” The problem with supporting the Nazi government in their health program was the government’s belief in the principles of Darwinism. The Adventists denominational stance was against Darwin’s principles. The German Adventists sacrificed this principle for the Nazi government. In order to gain favor with the Nazi government, the Adventists changed what was written in their publications and reformed their health message. The Adventists “frequently print[ed] negative comments about the Jews.” They also tried to show that even though the Adventists teachings about the Sabbath seemed Jewish, they were not Jewish. The Adventists also believed in the sterilization program. Direct statements and the reprinting of non-Adventist articles showed their support for sterilization. The position of the German Adventists changed from “caritas, the caring for the less fortunate and weak, to elimination of the weak, as the work of God. Their strong right arm had led German Adventists to a volkisch position.” The Adventists had built a “well organized, efficient welfare system that seemed particularly well suited to work with state authorities.” This system allowed Hulda Jost to be recognized by the Nazi regime. Hulda Jost was the director of Adventist welfare and the leader of the Adventist Nurses Association. The Adventist Nurses Association operated several nursing homes and provided staff for numerous hospitals within Germany. In this position, she was able to establish contacts within the Nazi government and outside Europe. 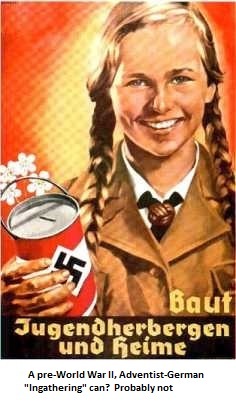 She was also a big supporter of Hitler and his regime. Because of her contacts, she was able to help the Adventist denomination survive during the early years. This also made her the best candidate to travel to the United States and speak on behalf of the Nazi government. Hulda Jost’s trip to the United States was planned for 1936 because the General Conference quadrennial session was going to be held in San Francisco. An invitation was sent to Hulda Jost from the Adventist Headquarters in Washington, D.C. Between the Adventist Headquarters and the German Ministry of Public Enlightenment and Propaganda, Jost’s itinerary for her trip was planned. Jost arrived several months earlier to travel throughout the United States to speak on the German welfare services. Once in the United States Jost met with the General Conference vice president J.L. McElhany and her interpreter Louise C. Kleuser. Jost also had a meeting at German Embassy where she was told to avoid political controversy by speaking only on the achievements in the social service sector. Jost spoke on the achievements of Germany under Hitler’s control to Adventist and other various organizations. It was not until April, that problems arose over Jost’s lectures. The problems started over a meeting with a pro-Nazi organization called Friends of the New Germany, which the German consul had set-up. The Chicago Daily News ran a story about Jost under the headline “Hitler Doesn’t want War, says Woman Leader.” In the article she is quoted as having said that Hitler did not want war and the Germans were rearming because they feared Russia. When asked about the Jews, Jost said, “Hitler has merely wanted to take leadership away from the Jews but he doesn’t want to hurt them.”  This was the beginning of the General Conference problems with Jost. Jost and the German Adventist leaders believed they had done their duty in the United States and hoped the Nazi government would be more lenient towards the Adventist denomination. But while they were in the United States, the German government passed a new decree requiring all school children to attend school on Saturday and the Adventist children were no longer allowed to study their bibles in class There were also soldiers who were having difficulties in keeping the Sabbath. Jost wrote a letter complaining to the high officials she knew about this new decree. She stated how the Adventists had been supporting the Nazi government and the work she was doing in the United States to improve their image. Joseph Goebbels even wrote a letter of his own to the Reich Church Ministry, but the decree was not revoked. This was one case where Hulda’s connections and the trip to the United States did not help the Adventists. Yet there are other cases that show that having a powerful ally was useful. One such case was about the investigation, by the Gestapo, of nurses belonging to the Adventist nurses association who had been dismissed because they were considered politically unreliable. Jost became upset over their dismissal and did not believe the Gestapo’s report was correct, so she asked her friends in the Propaganda Ministry to look into it. The Propaganda Ministry’s report found the nurses to be “politically cleared.” Another example of Jost’s connections occurred in 1937, when a friend in the Church Ministry – who had a connection with the Gestapo – warned her about plans to dissolve the Adventist denomination. With the help of her friends, Jost was able to contact higher officials in the Gestapo and stop the effort to dissolve the Adventist denomination. In March 1938, Hulda Jost passed away. Jost believed she helped the Adventist denomination survive the early years of Hitler’s regime. Jost knew she was lying while in the United States, when she said that the “Nazi authorities respected liberty of conscience as a matter of principle, and that [her] church enjoyed complete religious freedom.” But she believed all her efforts and compromises to the Nazi regime would make her denomination free from the harassment of the Gestapo. The Adventist denomination was no longer separate from the state, because of Jost’s connections and actions. The Adventists believe in the separation between church and state, but Jost went against this principle. Even with all of the compromises made in the early years, the Adventists had no security from the Nazi government. They sacrificed a main principle, separation of church and state, for nothing. Without security from the Nazi regime, the Adventists continued to make compromises with the regime. The Second World War began when Hitler invaded Poland on September 1, 1939. The previous year the Adventists began to remove “Jewish words” from their denomination. The word Sabbath School was no longer allowed and was replaced by the word Bible School. Another word no longer allowed was the word Sabbath; this was changed within the denomination to Rest Day. With the outbreak of WWII, the government issued an ordinance preventing pastors from taking an offering in church or house-to-house. There was a loophole to this ordinance, which said pastors were allowed to “levy fees on their members.” This allowed small denominational pastors and churches to survive during the beginning of the war. The Adventists in Germany continued to believe in Hitler and his regime. The publications in the late 1930s were about how Hitler was strengthening Germany and taking back the lands that had once belonged to Germany. They believed that God, himself, was leading this war and the readers of the Adventist journals could take comfort in that. The East German Union president, Michael Budnick, informed the other conference presidents that Adolf Minck had been taken in by the Gestapo and informed that it was unacceptable conduct not to work on the Sabbath. Under no circumstances did any Adventist have the right to resist the government, even if the government prevented him from exercising his faith. Resistance would be unfortunate because it would mark Adventists as opponents of the new state, a situation that should be prevented. This shows that German leaders did not want to resist the Nazi government. They did not want to be seen as opponents to the Nazi government. It was important to the leaders not to cause trouble in the Nazi regime. Even if the Nazi polices went against the denominational beliefs. The German Adventists leaders ignored or forgot the fact that they were supposed to submit first to God and His authority before submitting to a worldly authority. This circular seemed to have worked, for in 1940 the government sent out a report naming the religious sects that would be allowed to continue to work in peace because they had limited themselves to religious teachings. The Seventh-day Adventists were one of the sects named. Still this did not make the Adventists feel safe and they continued to compromise with the Nazi regime. In 1941, the German government once again banned the Seventh-day Adventist denomination, but only in certain districts in the east. These districts were Silesia, Danzig, and Lower Silesia. This caused some alarm within the Adventist communities, but there was nothing to be done to rescind the ban. In order to still have meetings, the Adventists met privately in members homes. The S.D. noted that the Adventists in these districts were ignoring the ban, but little action was taken against the Adventists. The German Adventists continued to support Hitler and his regime until the end of World War II. The Adventists served loyally in the armed services, but most served in combatant positions and rose within the ranks. This went against the denomination belief that if Adventists participate in war it must be in a non-combatant position. The Church leaders claimed, “the pastors and members of our Church stand loyally by their Volk and fatherland as well at its leadership, ready to sacrifice life and possessions.” They were willing to sacrifice their life and possessions for the fatherland, but they were unwilling to do the same for their religious beliefs. The racial policies of the Nazi regime went against what Adventists believe, but the Adventists did not voice their concern. They also did not voice their objections about not having religious liberty in Nazi Germany. The German Adventists may have served their fatherland loyally, but they did not serve the Seventh-day Adventist denomination loyally. The German Adventists continued to believe they had done the correct thing by compromising with the Nazi government. The survival of the church was what was important to the German Adventist leaders, and in order to survive they needed to compromise. Only in May 1948, did the General Conference take a closer look at the German Adventists’ actions during the Nazi regime. The reason why the General Conference took interest was because of a letter written by Major J.C. Thompson, chief of the Religious Affairs Section of the American Military Government in Berlin. The letter wanted to know why the Adventists had not removed all the Nazis from their leadership positions within the denomination. It also compared the Adventists to the Catholics, saying that the Catholics did not have to remove many people because of their strong opposition during the Nazi regime. There was no opposition from the Seventh-day Adventists. The German Adventist leaders were upset with the General Conference for ordering members to step down from their positions because they had joined a Nazi organization. In order to survive in Nazi Germany, they argued, people had to join Nazi organizations. The German leaders believed the General Conference had no right to make judgments about them because of their actions during the Nazi regime. They were especially upset because the General Conference had “adopted and enforced a policy that prevented publication of any commentaries about Nazism or even fascism,” in order to assist the German Adventists. The German Adventists did not like the fact they were being blamed when the General Conference was assisting them in their survival. The General Conference had become alarmed in 1939, when they estimated that 10 percent of the German Adventists were working on the Sabbath. The Sabbath is one thing that defines the Seventh-day Adventist church. With the start of World War II there was nothing the General Conference or the German Adventists could do. The German Adventists had sent out a circular telling its members to submit to the authority of the government. While this did not meet the demands of the Nazi government, it was used as evidence in the General Conference case against the German Adventists. There were several issues the General Conference had with the actions of the German Adventist leaders. Membership in a Nazi organization was of concern but not the greatest concern. The greatest concern of the General Conference was that “the denomination had been misled in its attempt to accommodate the demands of the Nazi state.” The erosion of the Sabbath keeping in Germany led the General Conference to pass a resolution in 1946 on “Faithfulness and Sabbath-keeping.” The German Adventists were still unwilling to admit they had been wrong. They still believed what they did was good, because it allowed for the survival of the denomination. The German leaders did not believe they had compromised any biblical principles. The president of the German Adventist Church, Adolf Minck, wrote to the General Conference president, J.L. McElhany, stating, they had obeyed God’s law and the Ten Commandants. He also said that “‘they might have lived out the one and the other commandment a little different’ than in times of peace. ‘But holy did they remain to us.’” This kind of reasoning of the German Adventist leaders made it hard for the General Conference to show that what they did was wrong. The German Adventist leaders interpreted the Scriptures to suit their situation. They believed that just because they were working on the Sabbath did not mean they had not kept it holy. They believed that “Scripture and Jesus taught clearly that the application of the law, rather then being absolute, was dependent on the circumstances.” Their circumstance was either to work on the Sabbath or go to prison. This was not a viable choice for the German Adventist leaders. The German Adventist leaders never admitted that they made any mistakes, it was against their National pride and their continued rationalization of their actions during the Nazi regime. In conclusion, the German Adventists connected the Adventist denomination to the German state, which went against their belief of separation of church and state. They did this by allowing the Nazi government to take over the Adventists welfare program and dictating the policy. The Adventists were suppose to help those in need, instead they discriminated against those groups of people who needed their help the most. They refused to help the Jews, undesirables, and the Reformers because it would have cause trouble with the Nazi regime. The Adventists defended the Nazi regime and lied about the regime having religious liberty. Instead of speaking out against the Nazi regime and its treatment of the Jews, the Adventists remained silent. They remained silent to protect themselves. The Adventists also worked and sent their children to school on the Sabbath. Keeping the Sabbath day holy is one of the beliefs that make the Adventists different. This is one of the fundamental principle of the Seventh-day Adventists and when times got tough, they willing sacrifice this principle. The German Adventists willingly became combatants during WWII. The Adventist denomination understands that governments have a right to draft people during times of war, but the Adventists have always refused combatant roles. The German Adventists went against this policy and willingly accepted combatant roles. The Reform Adventists were not willing to sacrifice this principle and were sent to concentration camps or executed. In order to survive, the German Adventists sacrificed the standards and principles, which made them Adventists. The German Adventist leaders said they had to make the compromises in order to save the church. It is the standards, principles, beliefs, and integrity that make up the Adventist Church. By sacrificing the standards, principles, beliefs, and integrity of the Church did not save the Church, it weakened the Church. It showed how far the German Adventists were willing to go against what they believed and taught in order to save themselves. I believe the German Adventists leaders made these sacrifices in order to save themselves, not the Church. If they had wanted to save the Adventist church, the German leaders would not have compromised its integrity or gone against the church’s beliefs. It is always easier to make compromises then maintain integrity. Christine E. King, The Nazi State and the New Religions: Five Case Studies in Non- Conformity, (New York: Edwin Mellen Press, 1982), 92. Seventh-day Adventists Believe… A Biblical Expostion of 27 Fundamental Doctrines, Ministerial Association General Conference of Seventh-day Adventists, (Maryland: Review and Herald, 1988), 4. “Our History,” http://www.adventist.org/history/ (24 February 2002). Schwarz,and Greenleaf, Light Bearers, 213. Seventh-Day Adventist Encyclopedia M-Z, ed. Don F. Neufeld, (Maryland: Review and Herald, 1996), 592. Schwarz,and Greenleaf, Light Bearers, 620. King, The Nazi State and the New Religions, 110. Cited from F.M. Wilcox, Seventh-day Adventists in Time of War, p. 58. “Origin of the Seventh Day Adventist Reform Movement,”<http://www.sdarm.org/origin.htm> (6 February 2002). “Origin of the Seventh Day Adventist Reform Movement,” < http://www.sdarm.org/origin.htm >(6 February 2002). Erwin Sicher, “Seventh-day Adventist Publications and The Nazi Temptation,” Spectrum 8 (March 1977), 12. “Origin of the Seventh Day Adventist Reform Movement,” < http://www.sdarm.org/origin.htm > (6 February 2002). SDARM Good Way Series-Study 13- The SDA Reform Movement Origin <http://www.asd-mr.org.br/sdarm/way/gws-13.htm> (14 February 2002). Sicher, “Seventh-day Adventist Publications and The Nazi Temptation,” 14. King, The Nazi State and the New Religions, 96. Sicher, “Seventh-day Adventist Publications and The Nazi Temptation,” 15. Hans Fleschutz, ed., And Follow Their Faith!, (Denver: International Missionary Society ), 19. Roland Blaich, “Divided Loyalties: American and German Seventh-day Adventists and the Second World War,” Spectrum 30 (Winter 2002), 44. Zdravko Plantak, The Silent Church: Human Rights and Adventist Social Ethics, (New York: St. Martin’s Press, 1998), 20. Roland Blaich, “Selling Nazi Germany Abroad: The Case of Hulda Jost,” Journal of Church and State, vol. 35, number 4, Autumn 1993, (United States: J.M. Dawson Institute), 808. Blaich, “Selling Nazi Germany Abroad,” 807. King, The Nazi State and the New Religions, 105. Adolf Minck, “Reformation,” Jugend-Leitstern, (April 1933), quoted by: Roland Blaich, “Health Reform and Race Hygiene: Adventists and the Biomedical Vision of the Third Reich,” Chuch History, Vol. 65, (Pennsylvania: Science Press, 1996), 427. Sicher, “Seventh-day Adventist Publications and The Nazi Temptation,” 16. Sicher, “Seventh-day Adventist Publications and the Nazi Temptation,” 19. R. Sulzmann, “Erbkrank,” Gegenwarts-Frage, vol. 9, nr.1, 1934, p.8, quoted by: Sicher, “Seventh-day Adventist Publications and the Nazi Temptation,” 19. Blaich, “Health Reform and Race Hygiene,” 437. Blaich, “Health Reform and Race Hygiene,” 427. Blaich, “Selling Nazi Germany Abroad,” 809. Blaich, “Selling Nazi Germany Abroad,” 810. Blaich, “Selling Nazi Germany Abroad,” 811. Blaich, “Selling Nazi Germany Abroad,” 812. Blaich, “Selling Nazi Germany Abroad,” 820. Blaich, “Selling Nazi Germany Abroad ,”821. Blaich, “Selling Nazi Germany Abroad,” 823. Blaich, “Selling Nazi Germany Abroad,” 824. Blaich, “Selling Nazi Germany Abroad,” 827. Jack M. Patt, “Living in a Time of Trouble: German Adventists Under Nazi Rule,” Spectrum 8 (March 1977), 4. Patt, “Living in a Time of Trouble,” 4. Patt, “Living in a Time of Trouble,” 7. Roland Blaich, “Religion under National Socialism: The Case of the German Adventist Church,” Central European History, vol. 26, number 3, (United States: Humanities Press, 1994), 270. Mr. Blaich does not say who this quote is from, but it seems to be from G.W. Schubert to the General Conference Committee, Feb. 7, 1937. Or it is from the Circular to the Conference Presidents of the East German Union, Mar. 27, 1940. Blaich, “Divided Loyalties,” 45. “An unsere Gemeindeglieder in Deutschland,” Der Adventbote, vol. 39, nr. 17, August 15, 1933, pp. 1-4. quoted by: Sicher, “Seventh-day Adventist Publications and The Nazi Temptation,” 15. King, The Nazi State and the New Religions, 108. King, The Nazi State and the New Religions,108. Blaich, “Religion under National Socialism,” 225. Blaich, “Religion under National Socialism,” 266. Blaich, “Religion under National Socialism,” 270. Blaich, “Religion under National Socialism,” 271. Blaich, “Religion under National Socialism,” 274. Blaich, “Religion under National Socialism,” 275. Blaich, “Religion under National Socialism,” 275-6. Blaich, “Religion under National Socialism,” 280. …Its fervor of denunciation seems to express the fury of fifty moral tornadoes and a thousand spiritual cyclones merged into one devastating movement of ethical indignation. From beginning to end there is scarcely a note of tenderness, and so hard and harsh does it seem that it has been suggested that it must have been written by a prophet who died young, before the fiery ardors of youth had mellowed into the gentle sweetness of later years. Yet there is much about the very fury of the prophet that makes his utterances morally wholesome. They are a tonic, and not a poison to the discerning soul. You have more sympathy with him when you understand the probable circumstances that led him to translate the results of communion with God into the burning words of this book. As far as your preacher has been able to gather from the work of George Adam Smith and other scholars, the position was this: Hezekiah, who had peace in his kingdom of Judah in his latter days, spent the last years of his life in a Puritan attempt to purify the religion of his people. But at his death, just as in England the purity of the Commonwealth was succeeded by the immorality and irreligion of the reign of Charles II, so in Judah the religious fortunes of Israel were reversed. His successor Manasseh was only a boy of twelve, harem bred, and under the control of the less moral section of the Court. His contact with foreign countries infected him with Paganism, and Baal worship was carried on in the very Temple of Jehovah. To heathenism he added persecution and massacre of those who were faithful to the one true God. When Manasseh died, Amon; his son, was true to the false things his father had taught him, and sacrificed to heathen images; but he had reigned for less than two years when his own servants stabbed him in his palace. Popular justice took swift vengeance on his slayers, and his son Josiah was placed on the throne. It seems to have been during his reign that Zephaniah prophesied, and there was a suggestion of reform in the air. But Zephaniah does not seem to have believed that what they wished would come to pass. He may or may not have doubted the sincerity of the would-be reformers, but in any case he saw that the soul of the people was not behind the forces that made for reformation. Verses 4 and 5 of this first chapter will tell you that there was still a remnant of Baal in the land, and if the worship of the sun had been banished from the Temple of Jehovah, yet services in his honor were held on the flat roofs of the houses of Jerusalem. Men swore by false gods. There were some who turned back from Jehovah, while others had been so brought up in heathenism that they neither sought for the Lord nor inquired for Him. The princes royal and the Court gentry dressed in foreign fashions that merely meant that, as in dress so in religion, their preferences were not for the things of Jehovah. In courts of justice violence and deceit reigned. The business men of Jerusalem were unclean of soul and foul of hand. The people were prosperous and contented, and regarded the moral state of the nation as none of their business. To Zephaniah came visions of the Nemesis that must follow decay of conviction. Just as Diogenes went through Athens in later days with a lighted lantern, looking in the faces of all,in the vain attempt to discover a real man, so Jehovah Himself would search Jerusalem with candles: and all that he would find would be men settled on their lees. The metaphor conies from the making of wine. New wine was left to clear, and when clarified was removed from the clearing vessel. If you left it too long, its own sediment clouded it again and made it muddy and syrupy. Hence in Palestine, if a man were lazy and indifferent, muddy of soul and cloudy of mind, people said that he was like wine settled on its lees. And to the prophet, Judea was full of such people. The times were ripe for reform. The religious and political atmosphere was charged with great issues. Abuses were rife, yet improvement was possible to an awakened nation. But, alas! men were settled on their lees. If they troubled to excuse themselves, to excuse their inaction, they said that God did not seem to care. He did nothing. “The Lord will not do good, neither will He do evil.” Why, then, should a man bestir himself? It was against this carelessness of high things and content with low, against the muddy soul and stagnant mind, that Zephaniah directed his denunciation. For indifference and lethargy were so fixed in the national character as to invite national doom. Prosperity and respectability making for national decay. The princes of the people were content to be parasites. The judges sold justice, and the priests were profaners of the sanctuary and scoffers of the law. In the Caucasus the Scythian hordes were gathering, and soon they would sweep through Egypt, and devastate that nation of indifferents and sloths called Judah. The great day of the Lord was hastening in which mighty men would cry bitterly and common men would stagger with blindness,because of blood poured out as dust. Only a remnant, the few that cared, would survive, purified by their sorrows. Over these God would rejoice. For these His love would be so great that even He could not speak it,though He would try to express His gladness by lifting up His voice in singing. And so the remnant would be a name and a praise among all the peoples of the earth in the day when the Lord brought again their captivity. Now, of course, it is not possible to establish an absolute parallel between the days of Zephaniah and these later times. Yet our points of similarity are many, and the main lines of his indictment do not lose their way if applied to the British peoples of the twentieth century. The dominant note of our life today is respectability and, we are respectable rather than religious. Never was there an age in which men and women were at once so careless of their characters and so careful of their reputations. Add to respectability to prosperity, and inevitably the result is a people settled on their lees and beclouded by the precipitate of their own self-complacency. Hence, then, you get a folk like the people of this generation, who have but little care for the great and high issues involved in national life. A fair number of us care enough for public affairs to talk about them. But the test for our earnestness is not our talking, but our thinking, and especially our thinking with the Divine as inspiration and final test, that thinking that drives us to communion with God more naturally even than to speech with our fellows. The absence of such Theo-centric thinking accounts for the flaccidity of true principles in our national life. If any one feels that my words are hardly fair, let him look for example at the political activities of the nation. He will see in them much clashing of interest and little conflict of principle. Further, speaking as I do from the pulpit of a Free Church, I venture to say that the Nonconformist Churches are by no means free from the prevailing apathy. Take the question of our Protestantism. We are really leaving the defense of our Protestant principles to the narrower and hence less effective sections of our spiritual communities. Even to some of you who sit before me the Roman Church simply represents a somewhat amazing variation from the type of church with which you are familiar, and you cannot understand why any one troubles to condemn it. Meantime that Church takes advantage of your blindness, and is daily increasing her ecclesiastical and political power. It will be well for us to learn from history rather than from future happenings that the Roman Church by its very nature stands for spiritual tyranny, and the Free Churches stand for spiritual liberty. The Roman Church believes that it is for your good that your spiritual affairs should be controlled by presumed experts who are men like yourselves, but endowed with special sacerdotal powers. The Free Churches believe that your greatest good comes when you are personally brought face to face with Christ, and that the care of your soul should be a partnership that is also a comradeship between Him and you. Only as you strive in national and religious affairs you should work from a spiritual rather than a political base, for there is nothing worse than secular politics dominating a sphere that ought to be permeated with religion. If there be even a fair measure of truth in what has been said to you, there can be no serious person in this church who is not concerned to find a remedy. An article in a current Journal deals with the decay of conviction, and suggests that this decay is due, amongst other things, to the increase in riches and in pleasure. There is a great deal of truth in the suggestion. In our prosperity, and perhaps even more in our desire for prosperity we, are forgetting God. And many a man who could be true to the Divine in his poverty is forsaking the Eternal, as the things of this life mean more and more to him. With regard to pleasure, there seems but little doubt but that the larger diffusion of money is yearly adding to that class of people who aim not so much at redeeming the time as a killing it. And if, as Pope somewhere suggests, folk are passing from a youth of frolics to an old age of cards, you can never expect from them any serious conviction whatsoever. Yet one can imagine that the English-speaking peoples might become both poor and unhappy and still find no remedy for their decay of earnestness. To my mind the only possible correction of that decay will lie in our increase of the sense of God. What we want is that all-pervading sense of the Eternal that was possessed by the old Puritans, and when that revival comes which some of us are so eagerly anticipating, it must come along the lines of that old Puritanism. Puritanism has been very much misunderstood. We have been told that it banished music and art from the life of England, and was, indeed, a veritable kill-joy. Let it be admitted that there is some slight excuse for this statement; but, on the other hand, let us remember that, for instance, Milton had his organ. The dominant factor in Puritanism was its intense reverence, a reverence so full of solemnity that the supernatural was the very commonplace of existence. 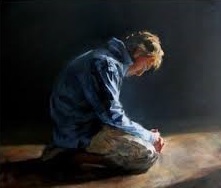 Men dominated by the Puritan habit of mind move nowhere without a deep sense of God touching them to seriousness in all that calls for solemnity. If in the councils of Cromwell some new measure was proposed, as often as not men would gravely consult their Bibles to see if some point suggested was in accord with the spirit of the New Testament, and, if so, they voted affirmatively. 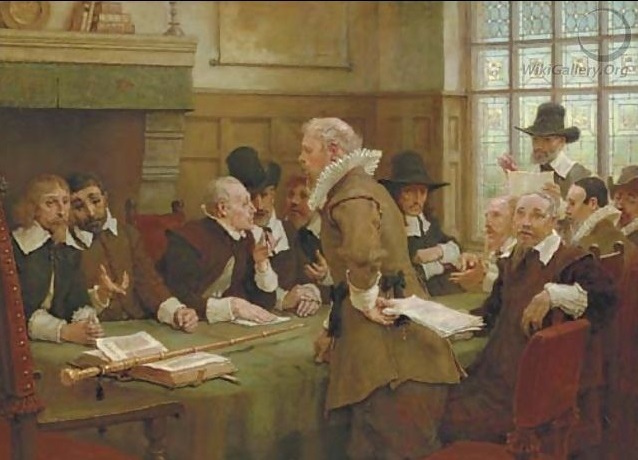 In their private life the Puritans were men who never made an attempt to escape from God. Let us get back this old sense of the dominating of the Divine and the abiding presence of the Eternal, and we shall have a renascence of spirituality that will give earnestness to every phase of our national life. Instead of opinions we shall have convictions; instead of views we shall have principles. And in that day when our private lives are wholly consecrated, the public life of Christians shall be God-like and wholesome and pregnant with mighty possibilities of progress.